Large hospital campuses present various opportunities for installing solar panels. Parking lot canopies are a great option that repurpose unused space while providing shade for visitors, patients and staff. Alternately, many hospitals choose roof-mounted solar systems. Even a small installation, when strategically placed, can offset your energy use. There’s no room for error when it comes to installing solar power in a hospital. When lives are on the line, your critical equipment can’t be subjected to an unanticipated outage or other service interruption. That’s why it is so important to choose an installer you can trust. 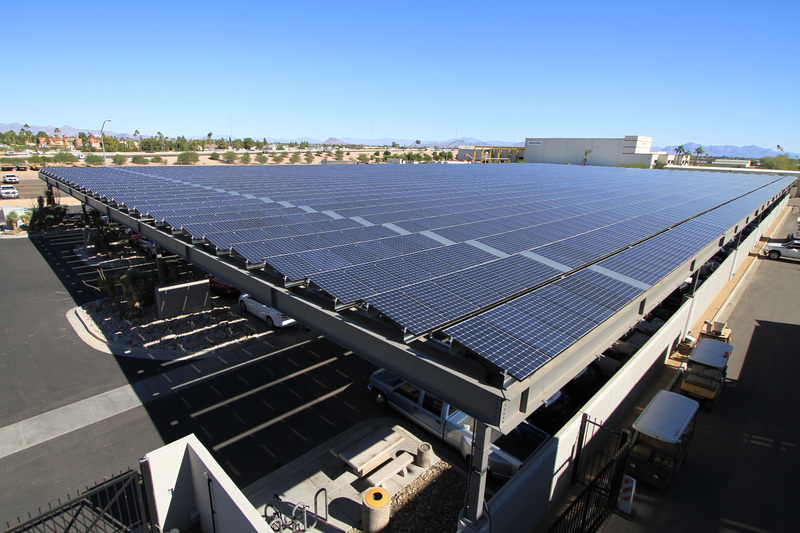 Empire has installed numerous solar power systems for hospitals in Phoenix and beyond. Our engineers have a combined 120 years of experience and can design a custom system that saves you money and is reliable enough to power all your mission-critical systems. Learn more about the benefits of solar panels for hospitals and other healthcare facilities by contacting our office to book a site assessment today.